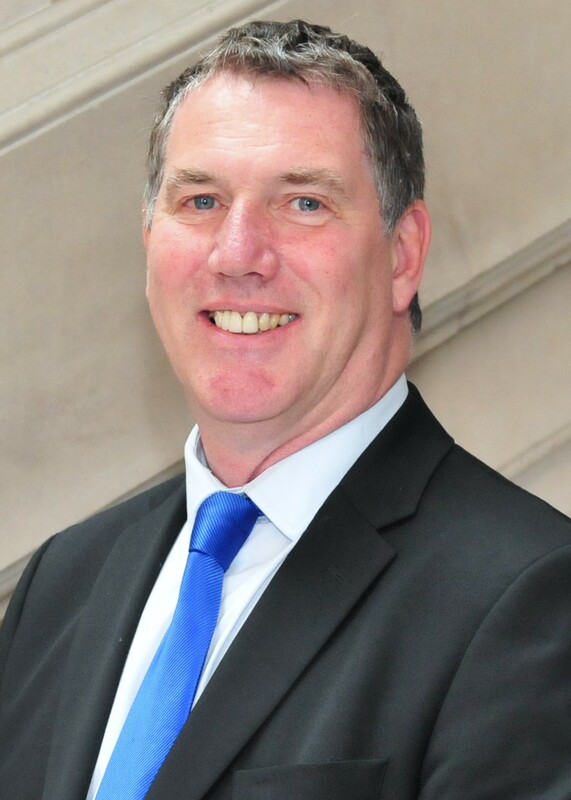 A report into what the future could hold for the county and how it will handle the growth in population and new homes has been published by Kent County Council. The Kent and Medway Growth and Infrastructure Framework (GIF) helps KCC, Medway Council, local planning authorities and the government understand what services and infrastructure are required to support that growth. 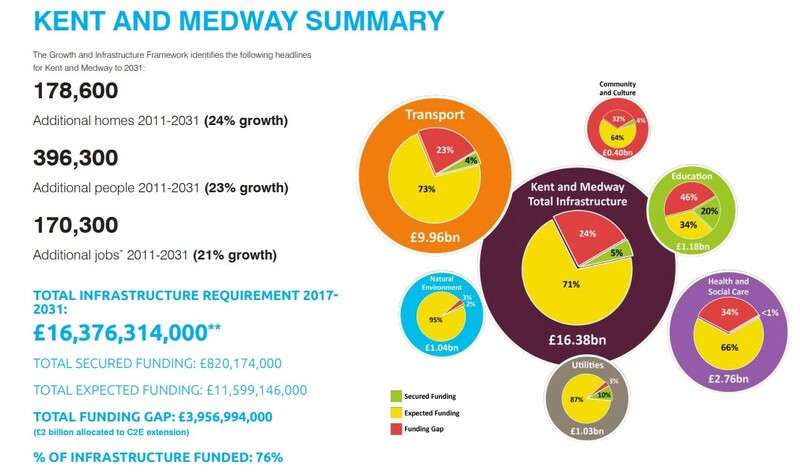 The GIF provides a picture of planned growth across Kent and Medway to 2031, as well as starting to examine the challenges and opportunities likely to face Kent and Medway to 2050. 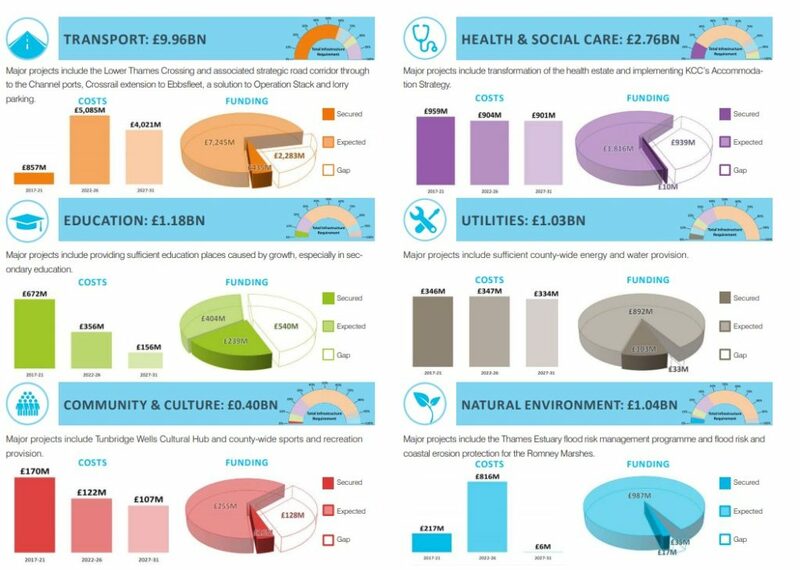 Kent and Medway is expected to see 396,300 new people, 178,600 new homes and 170,300 new jobs with a total infrastructure cost of more than £16 billion. The report also shows a 14.3% increase in the number of vehicles on major roads in Kent between 2006 and 2016 and an increase of 42% in people using trains in the past 10 years. 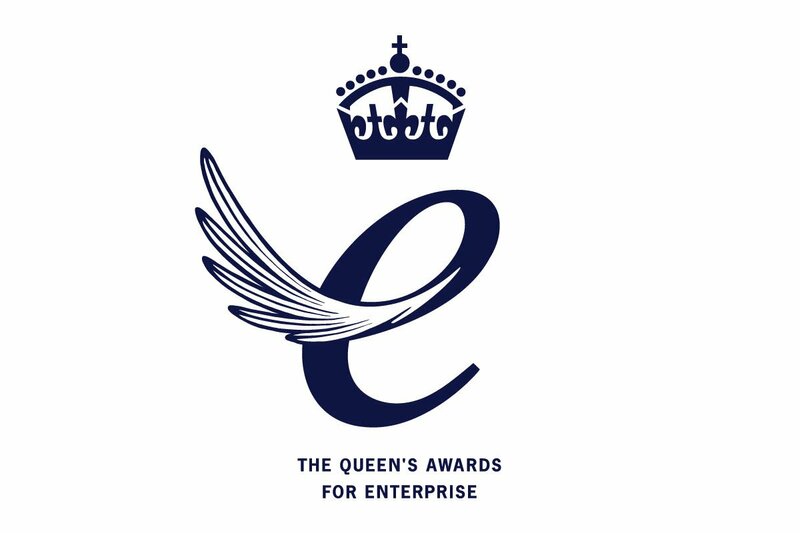 As the county continues to grow, pressure increases on the existing infrastructure, and the GIF highlights the challenges to Government, infrastructure providers, district councils, parish councils, local communities, Kent and Medway businesses and developers. KCC Cabinet Member for Planning, Highways, Transport and Waste Mike Whiting said: “Kent and Medway are embracing growth. We recognise the benefits business and housing growth brings to the county in terms of new jobs, new facilities, and new communities. “However, the GIF makes it clear that the current mechanisms in place for the planning, funding and delivery of infrastructure are not sufficient for accommodating the level of growth planned for Kent and Medway. 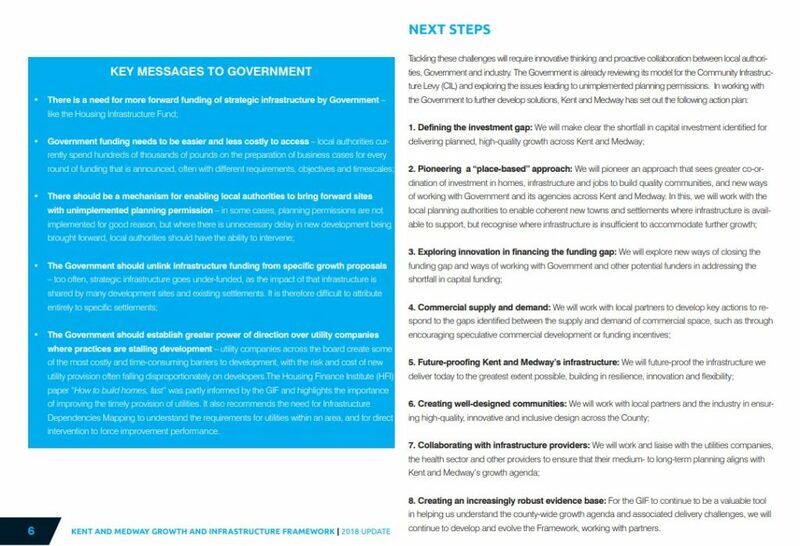 “New approaches are required to secure the additional public and private investment needed and the GIF includes a forward-thinking action plan to begin to close the investment gap. “Over the coming year, we will be looking to develop a GIF Implementation Plan to take forward these actions. Since the original GIF was published in September 2015, the authorities and infrastructure providers across Kent and Medway have worked collaboratively to secure £120 million of Local Growth Funding from central government for a range of schemes. There is a commitment from government to deliver a new Lower Thames Crossing, with identification of significant private sector interest in its financing. Government support and funding in excess of a million for Otterpool Park Garden Town. Since 2015, £121,449,009 has been secured for KCC services through section 106 planning contributions. Over two years, 15,068 new homes have been built in Kent and Medway (2015/16-2016/17).